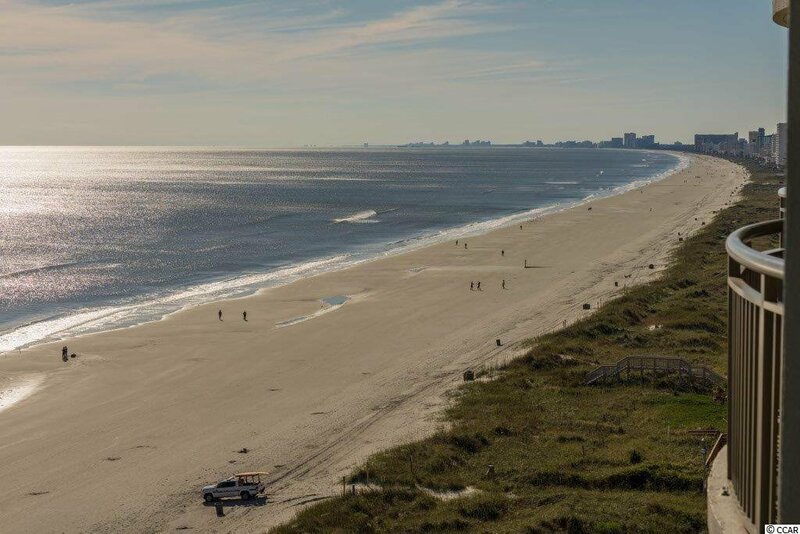 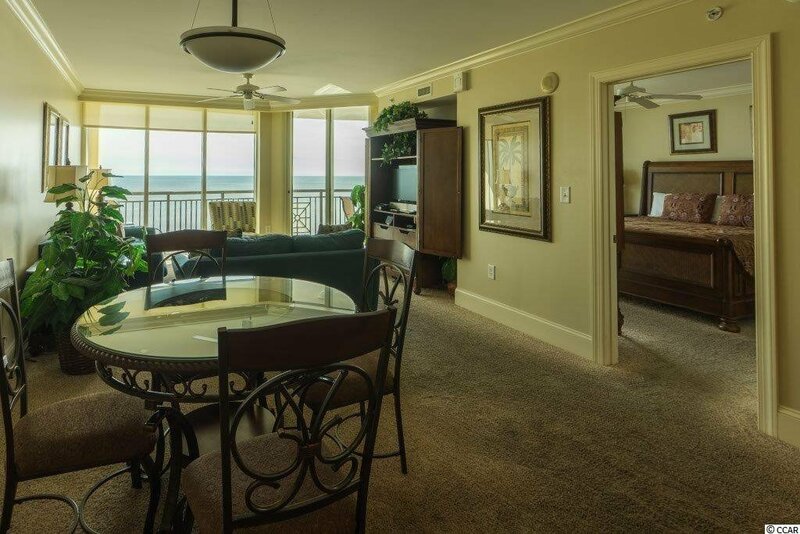 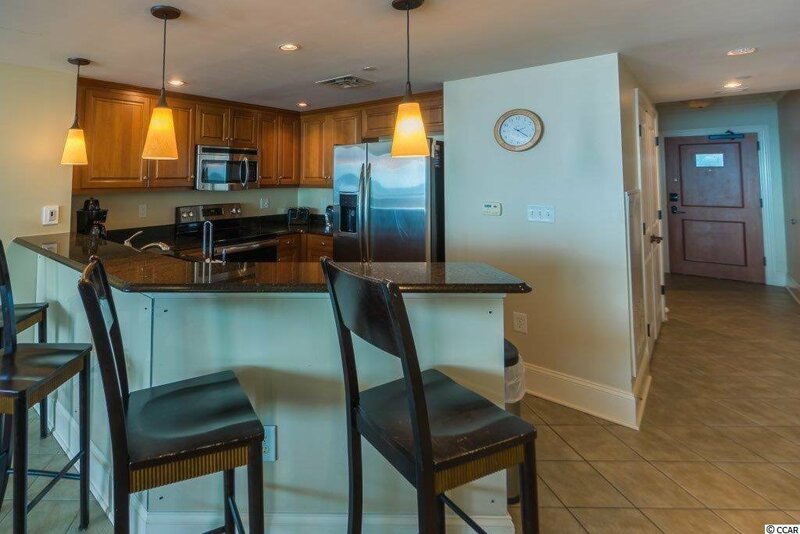 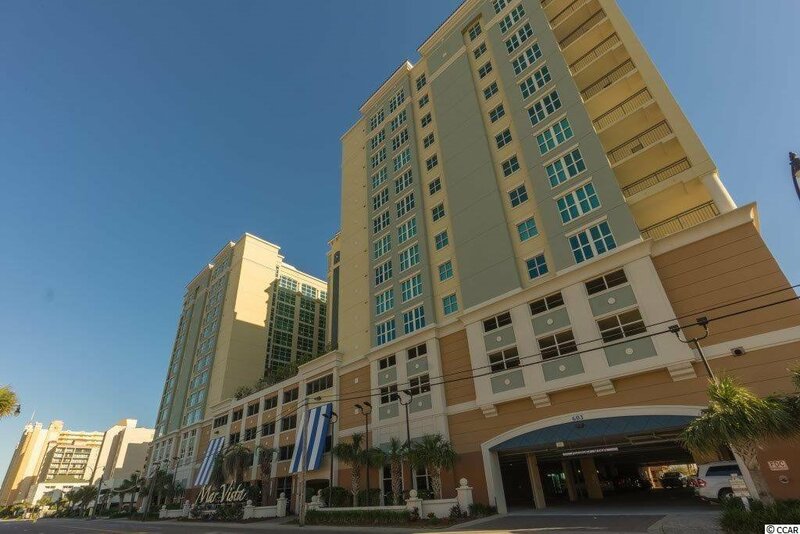 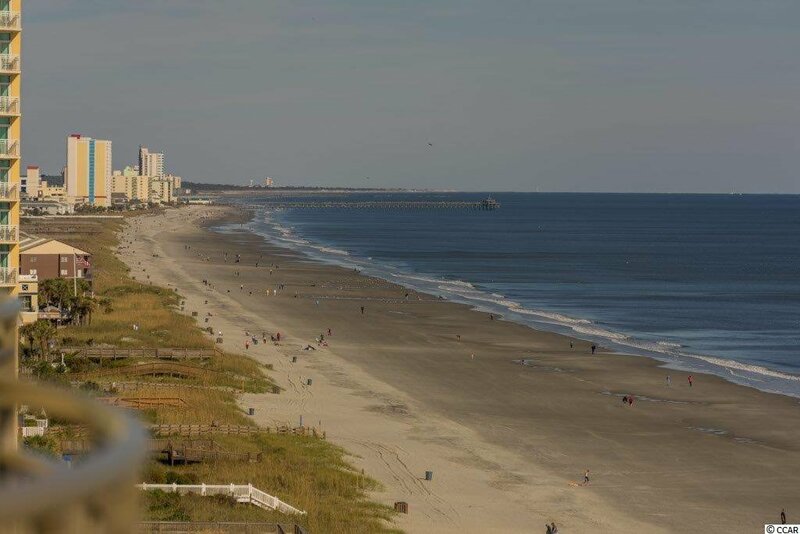 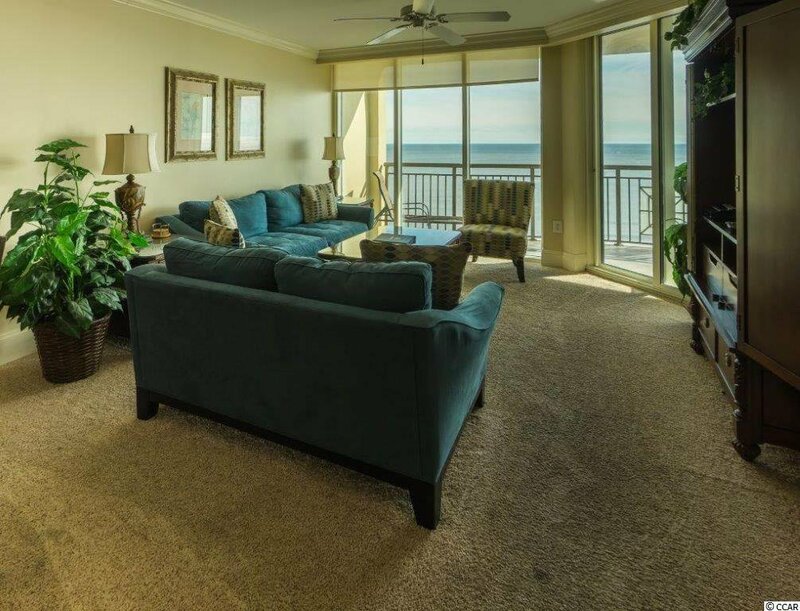 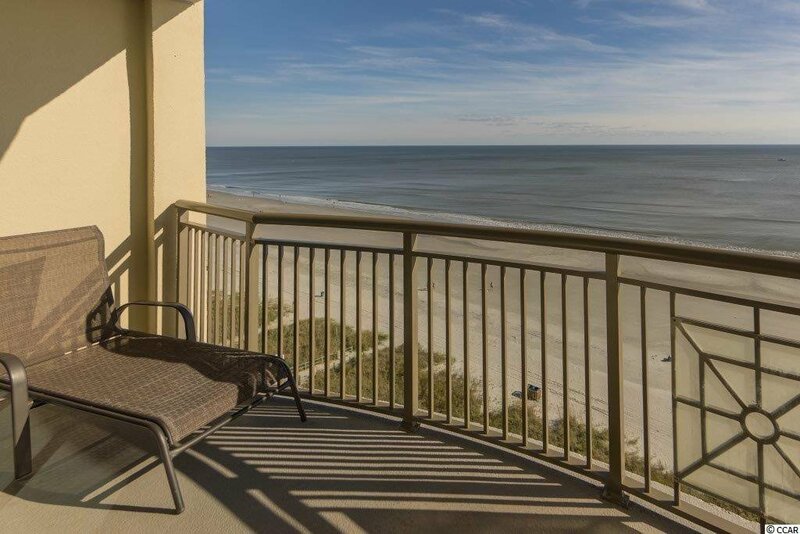 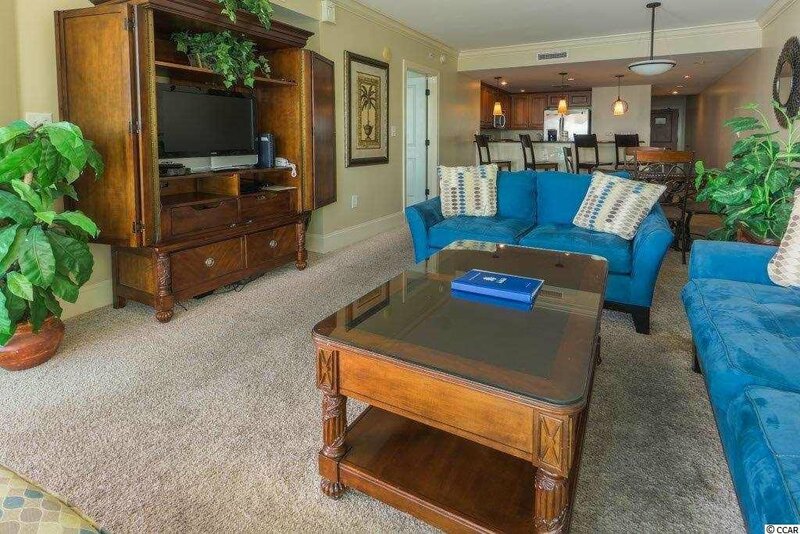 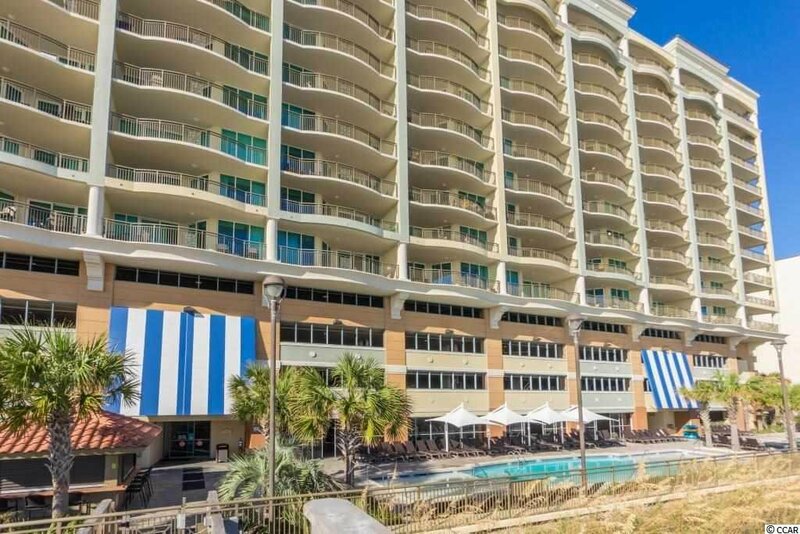 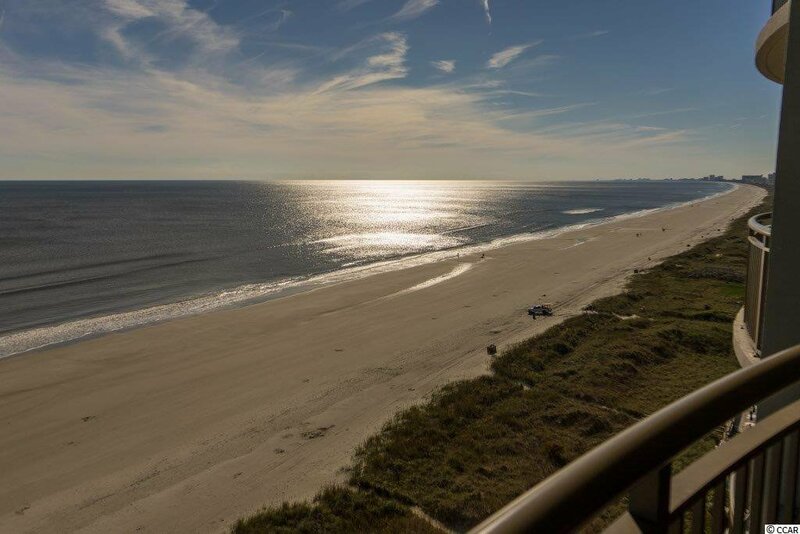 The Mar Vista Grande is one of the premiere condominium towers on the beach here on the Grand Strand. 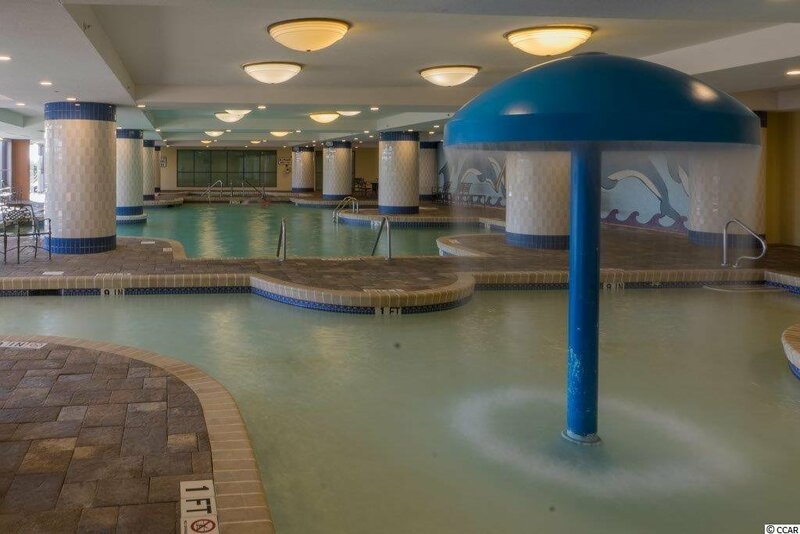 Constructed in 2006, this is a true concrete and steel building. 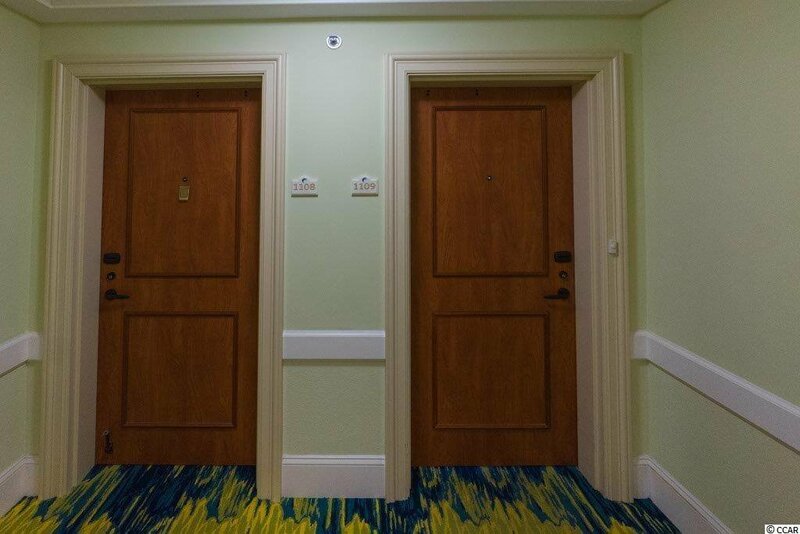 The first four floors are for parking with a coded elevator entrance to each floor. 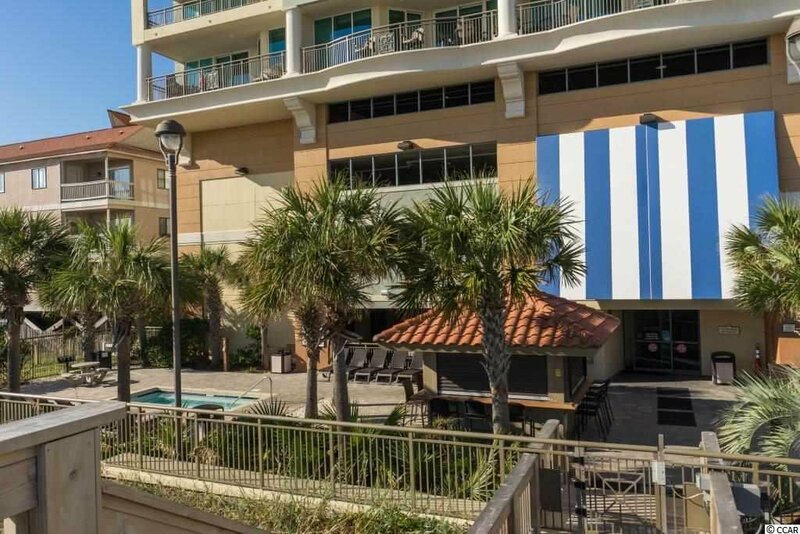 This building is equipped with security cameras throughout. 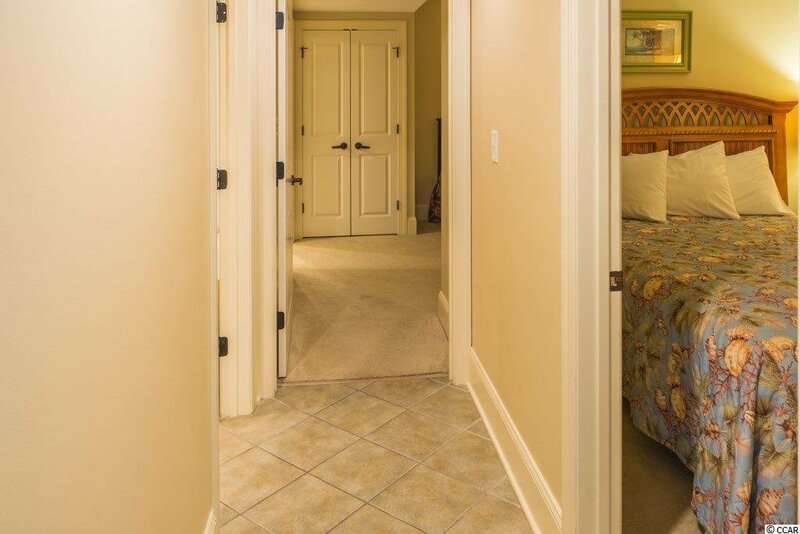 Owners also have a detached storage room on each floor. 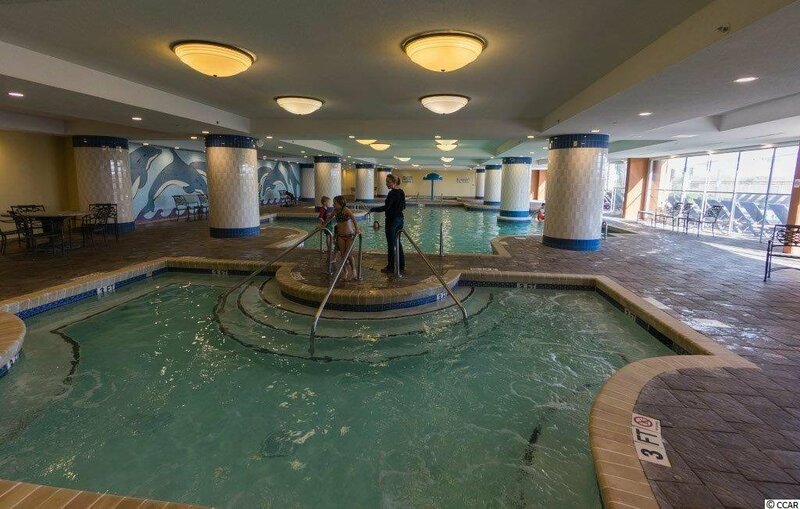 The workout room is on the fifth floor along with separate spa facilities. 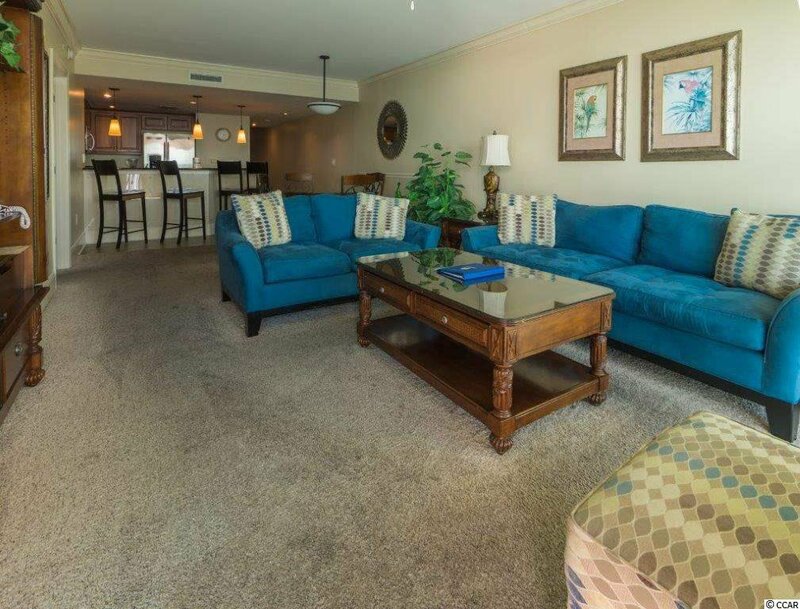 A private owner's lounge is also on this floor. 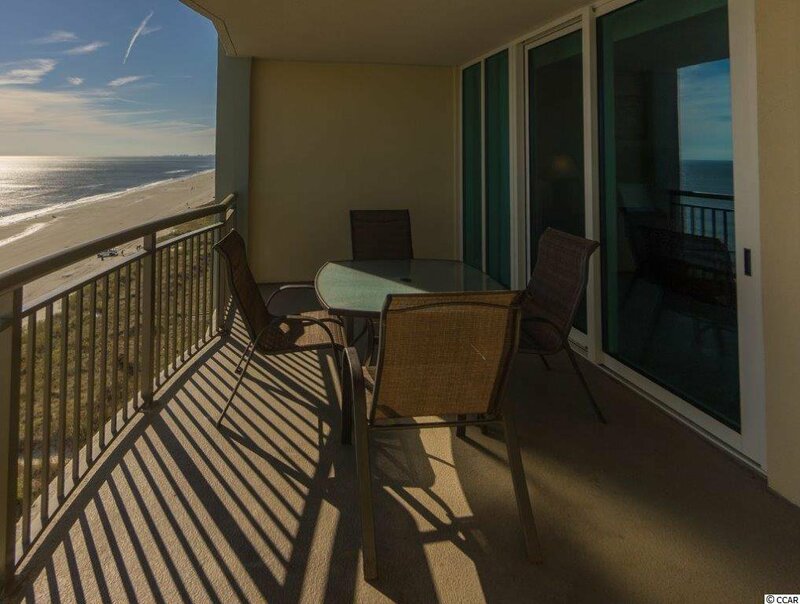 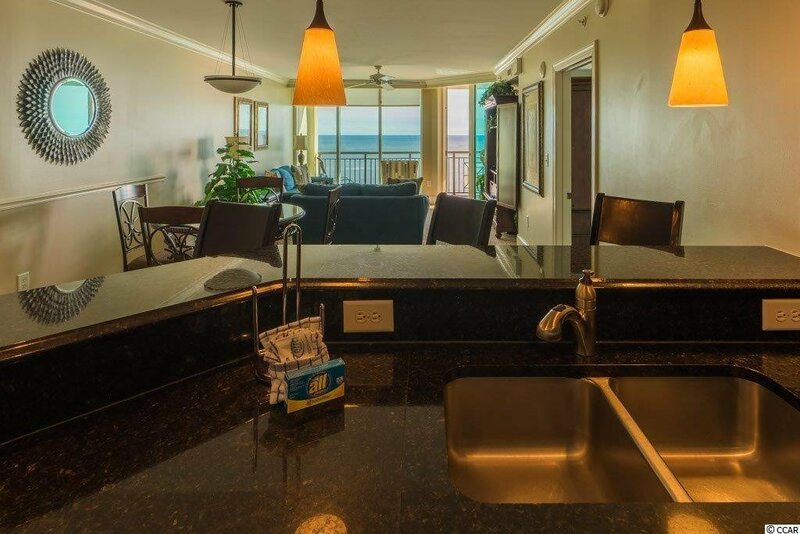 1109 Mar Vista is a three bedroom, three bath residence and is on the oceanfront. 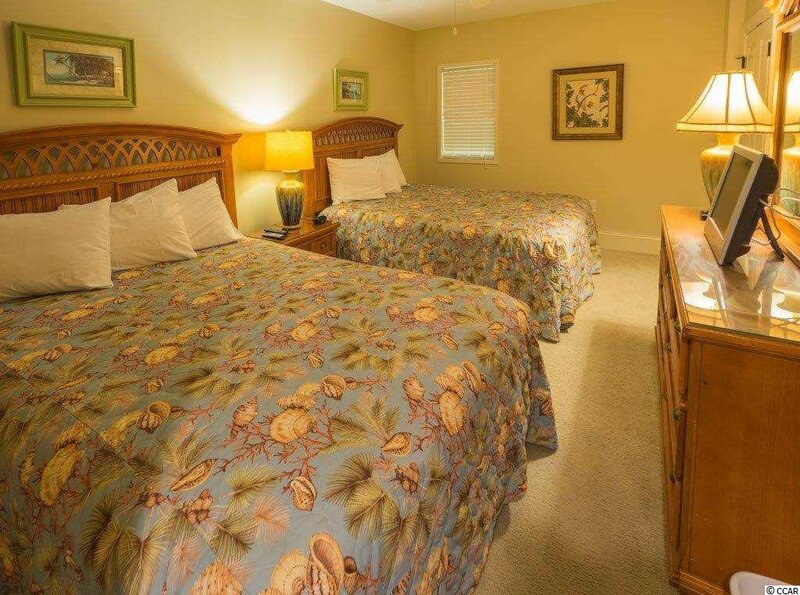 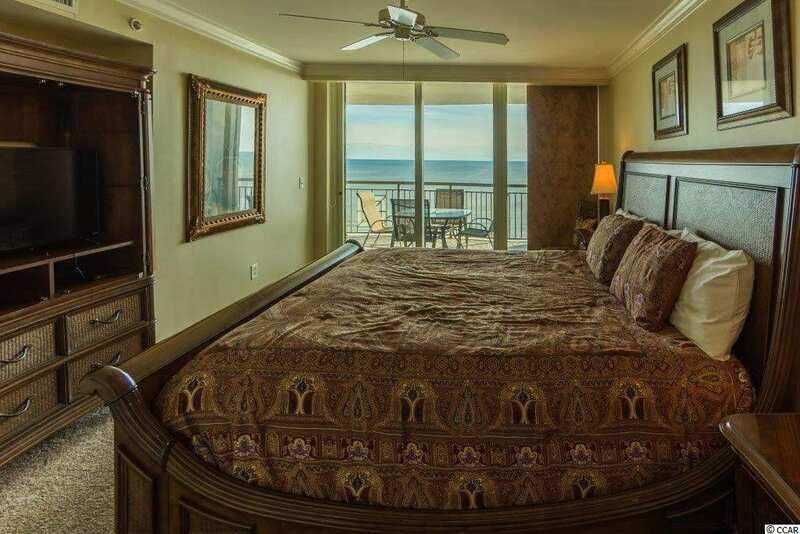 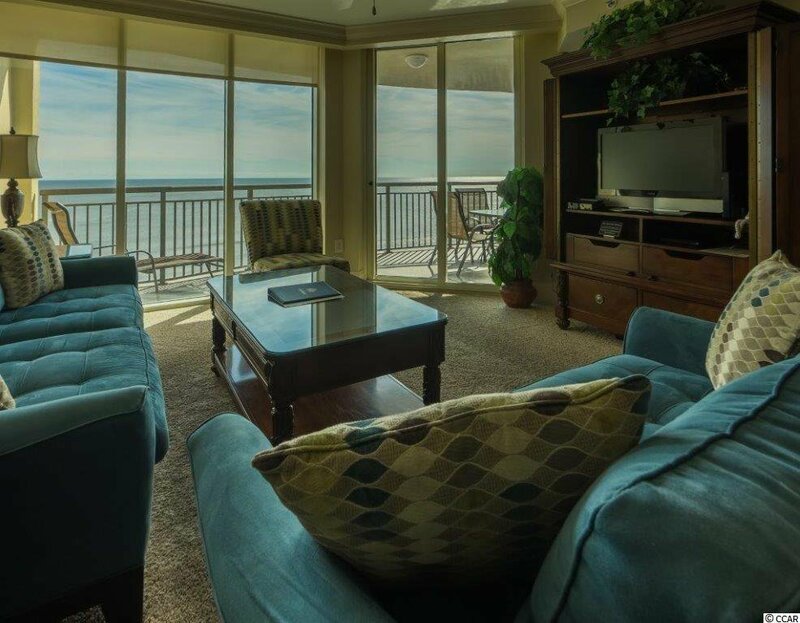 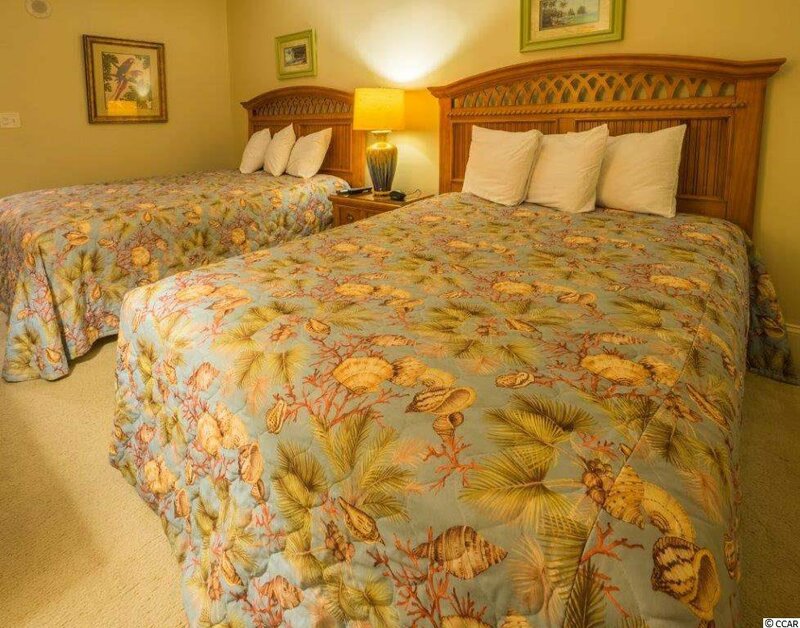 Both the living room and master bedroom have direct ocean front views and two other large bedrooms feature queen beds. 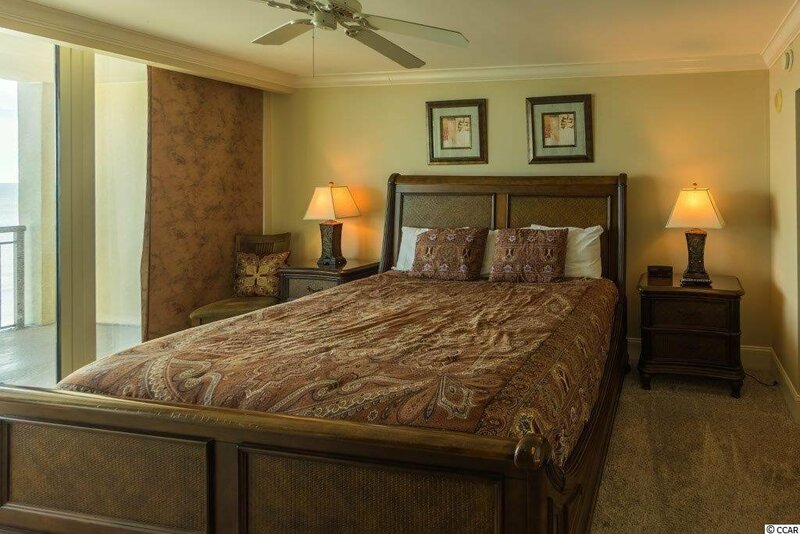 The master bedroom has a kings size bed. 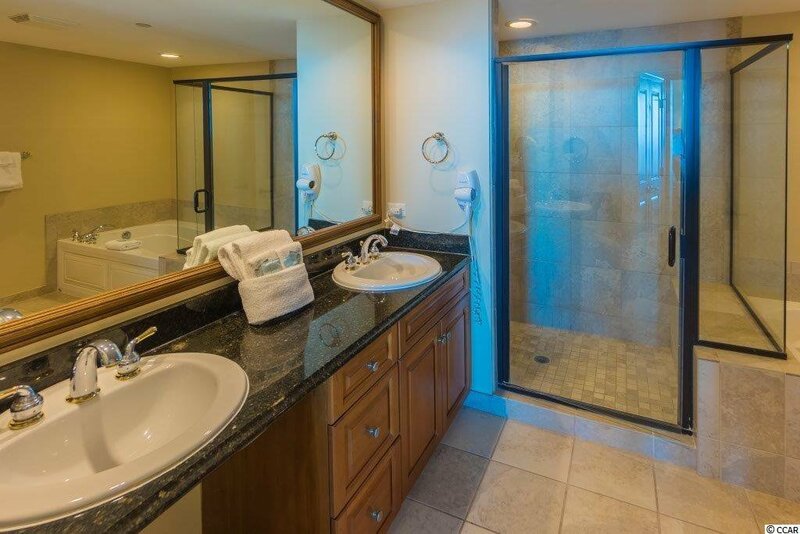 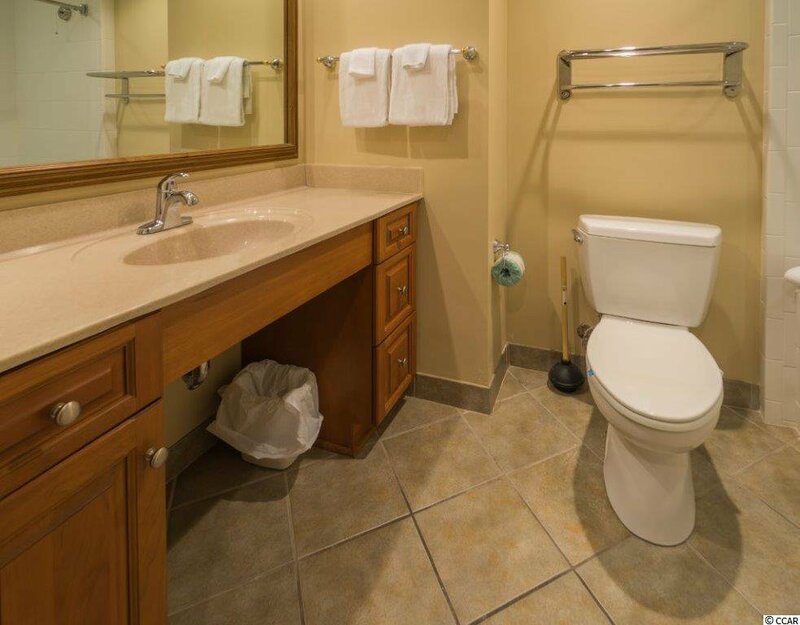 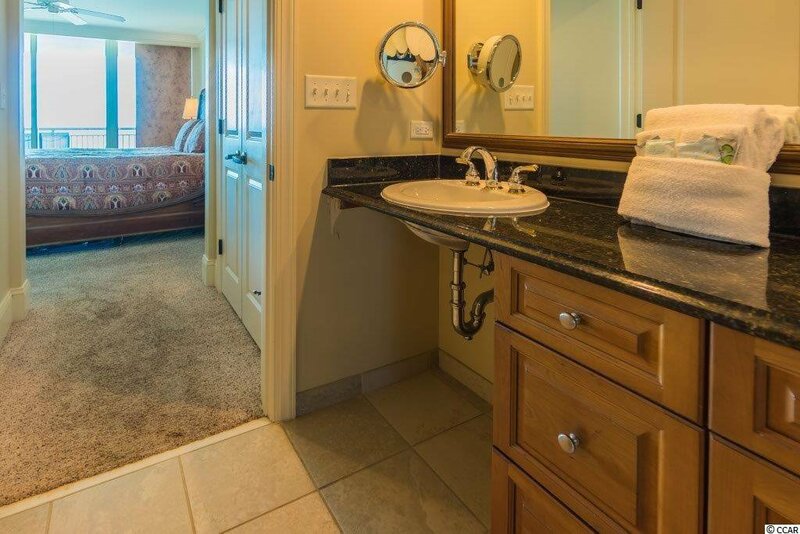 The attached master bathroom is upgraded with granite tops, separate shower, and whirlpool but. 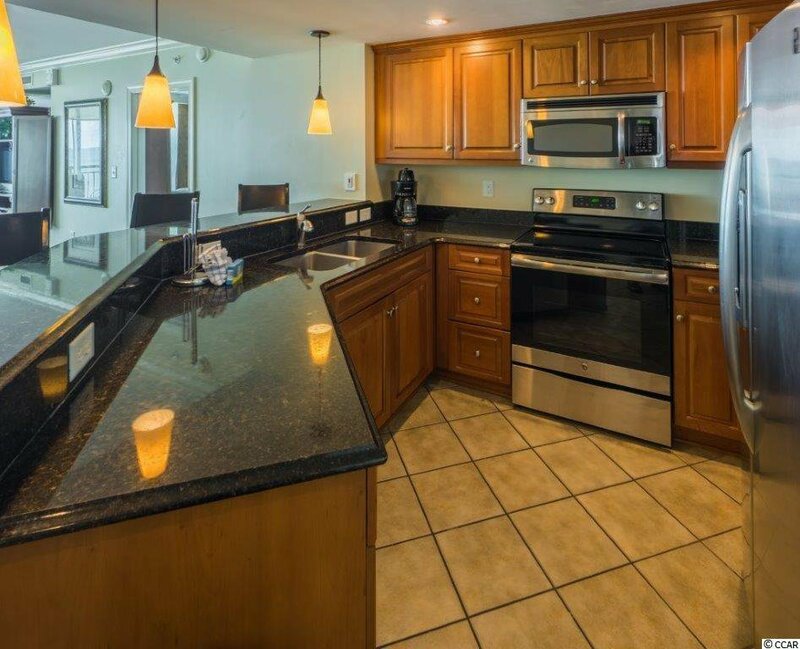 This is presently being used as a rental condominium with an excellent rental history. 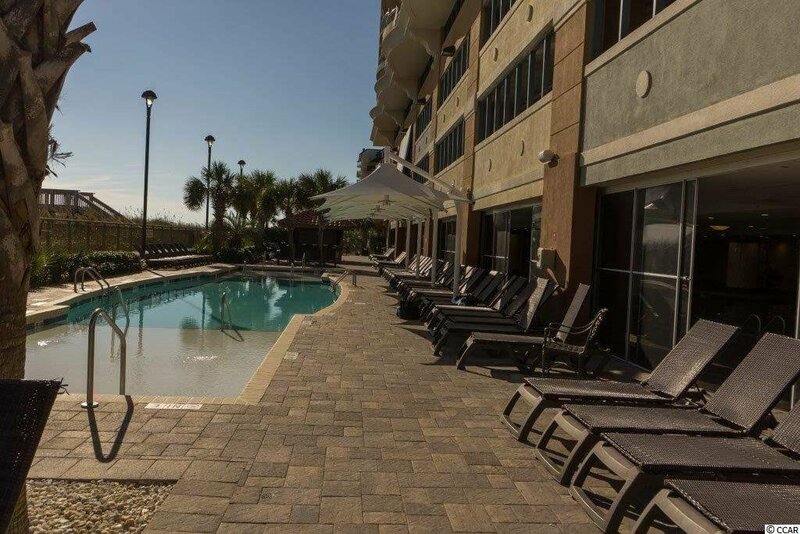 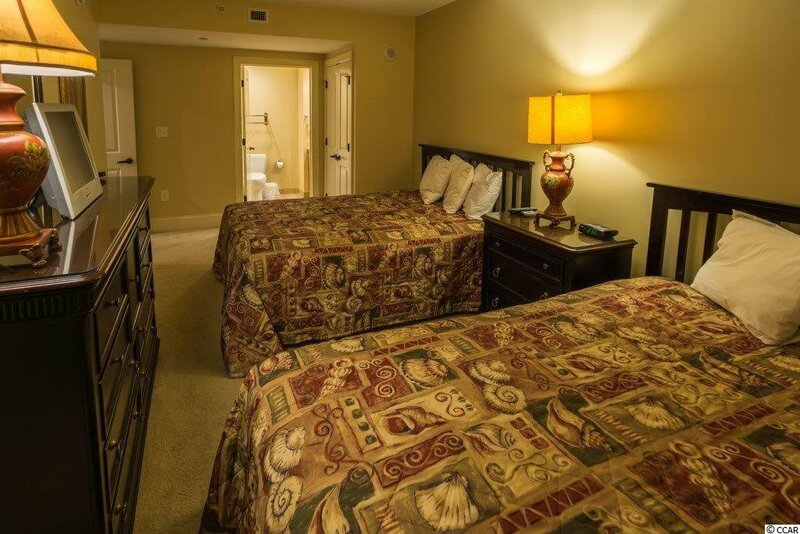 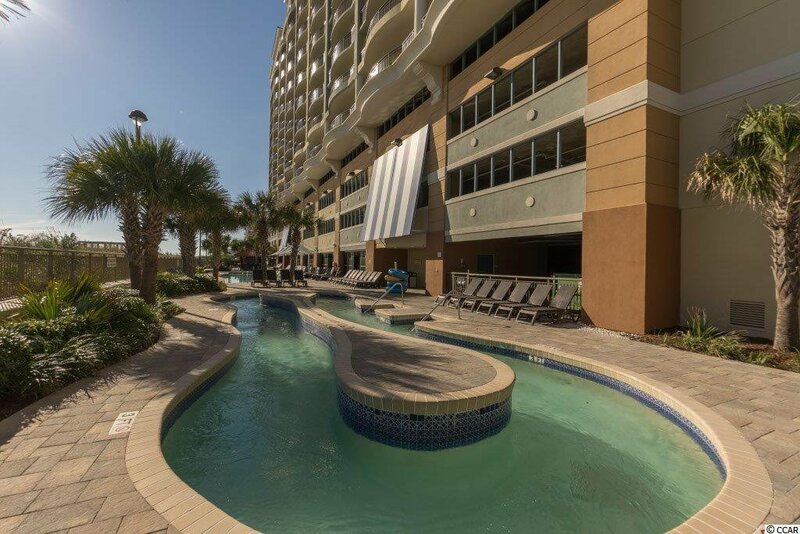 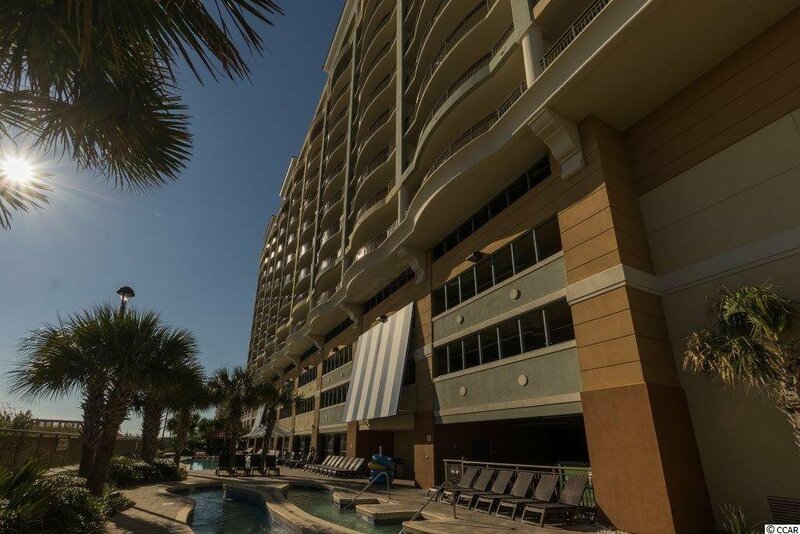 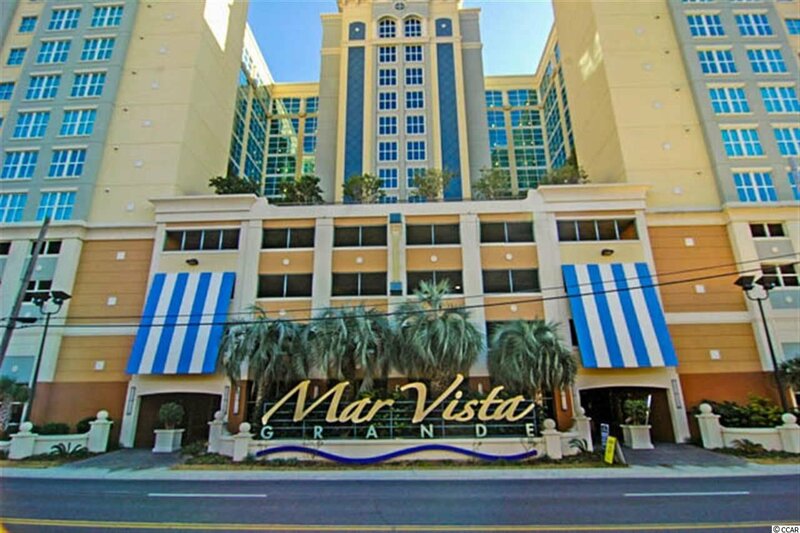 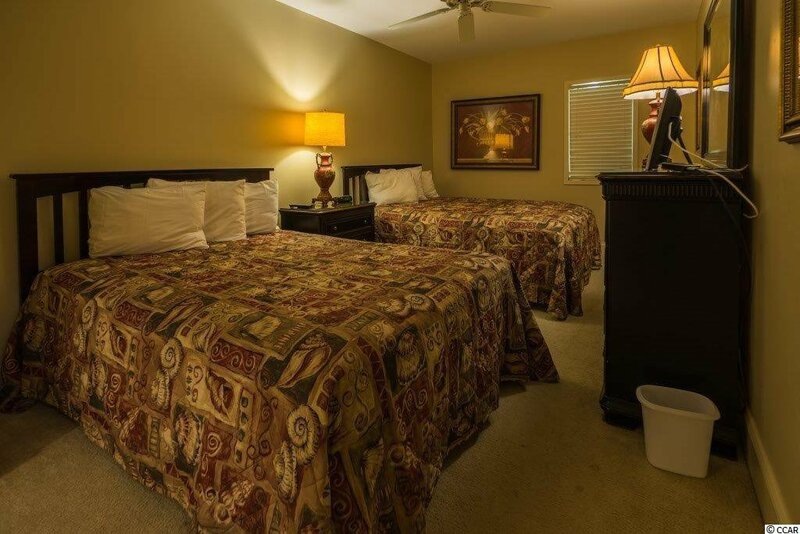 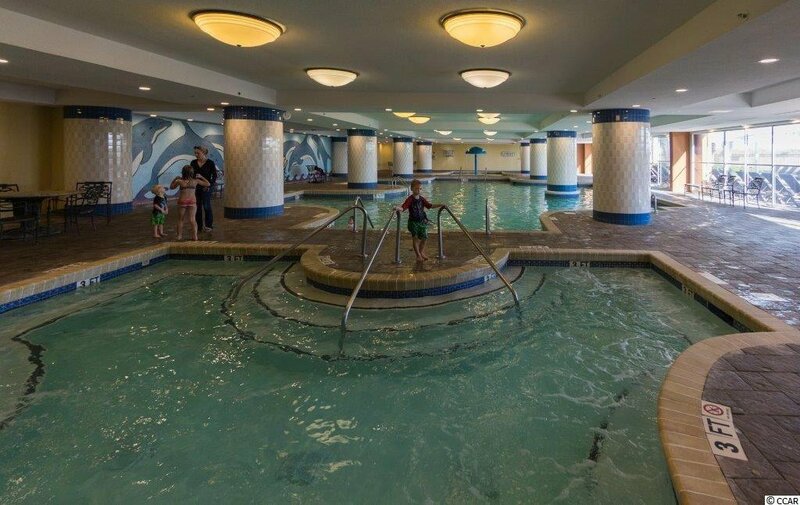 The ground floor of the Mar Vista Grande has one of the finest indoor pools along the Grand Strand, making this location very popular for winter rentals. 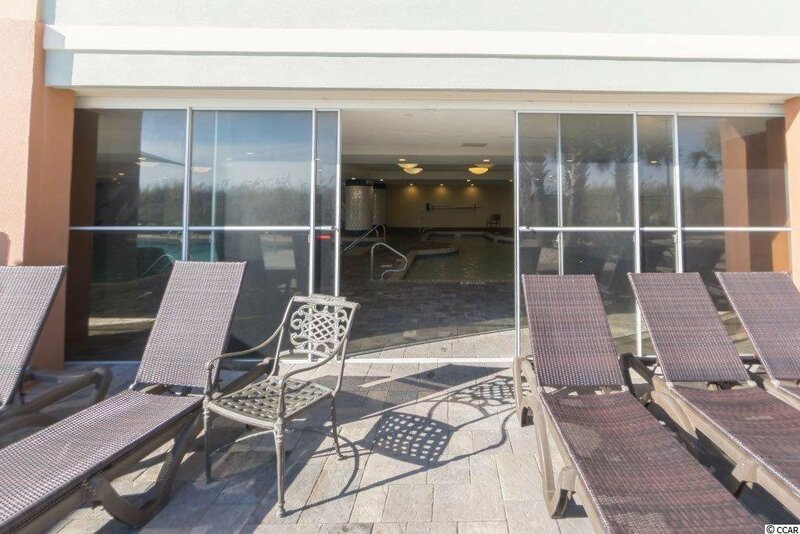 The outdoor deck includes a pool, lazy river, hot tub and a seasonal Tiki Bar. 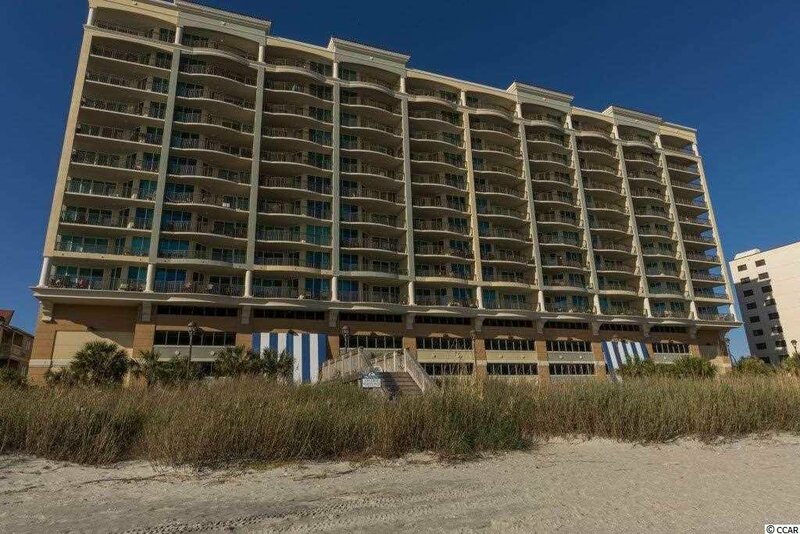 The entrance to and from the beach is also secured with an access code as is the building. 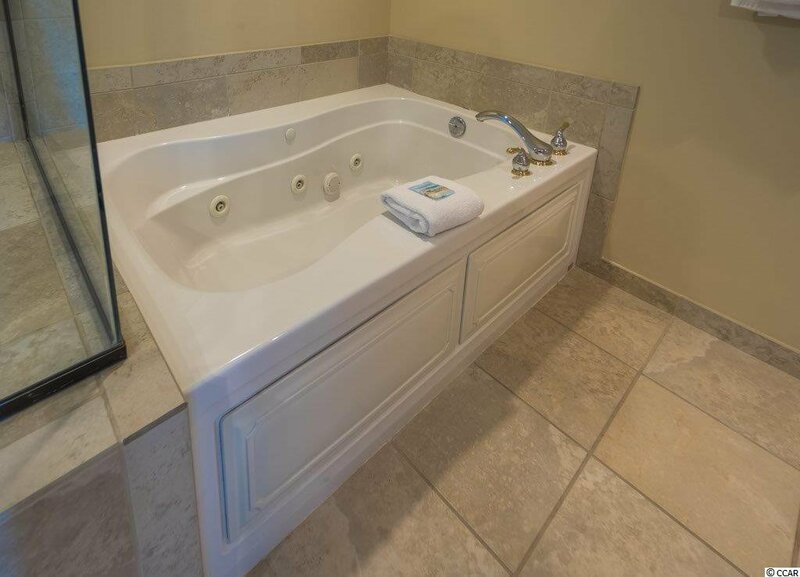 Call today to find out more about this unique opportunity.